Was braucht man, um ein Gerät zu aktivieren? Before you can activate the license for the BIG-IP system, you must obtain a base registration key. 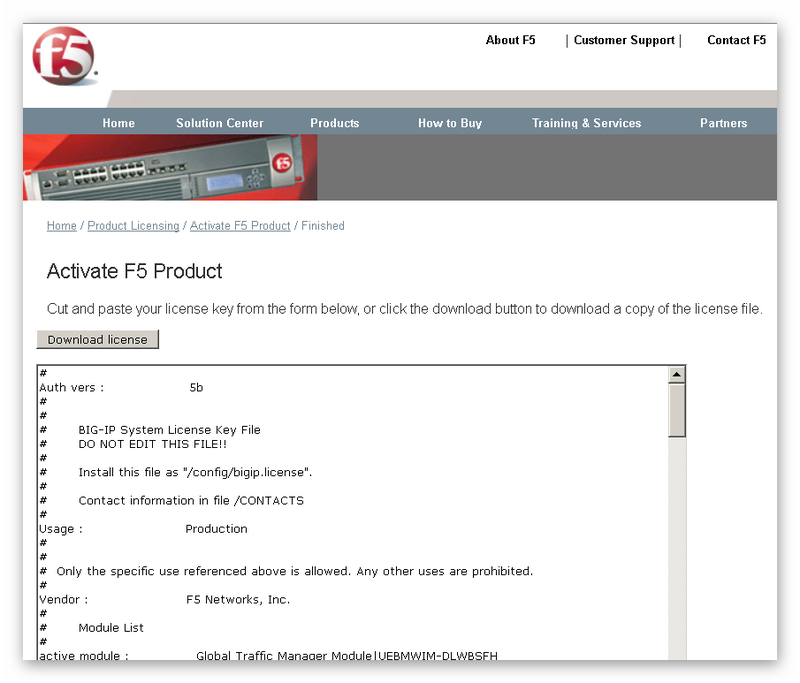 The base registration key is a 27-character string that instructs the license server which F5 products you can license. The base registration key is pre-installed on new BIG-IP systems. 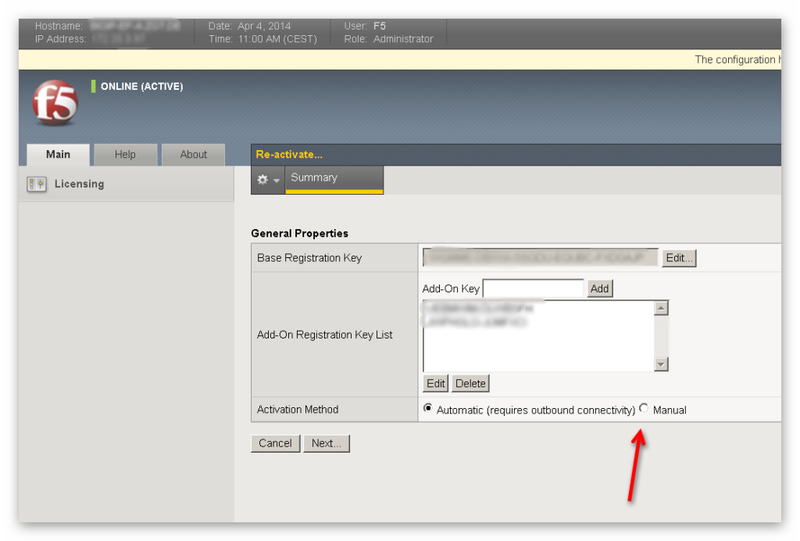 When you connect to the Configuration utility, the Licensing screen opens and displays the registration key. The dossier is an encrypted list of key characteristics used to identify the platform, which you can obtain from the BIG-IP software. 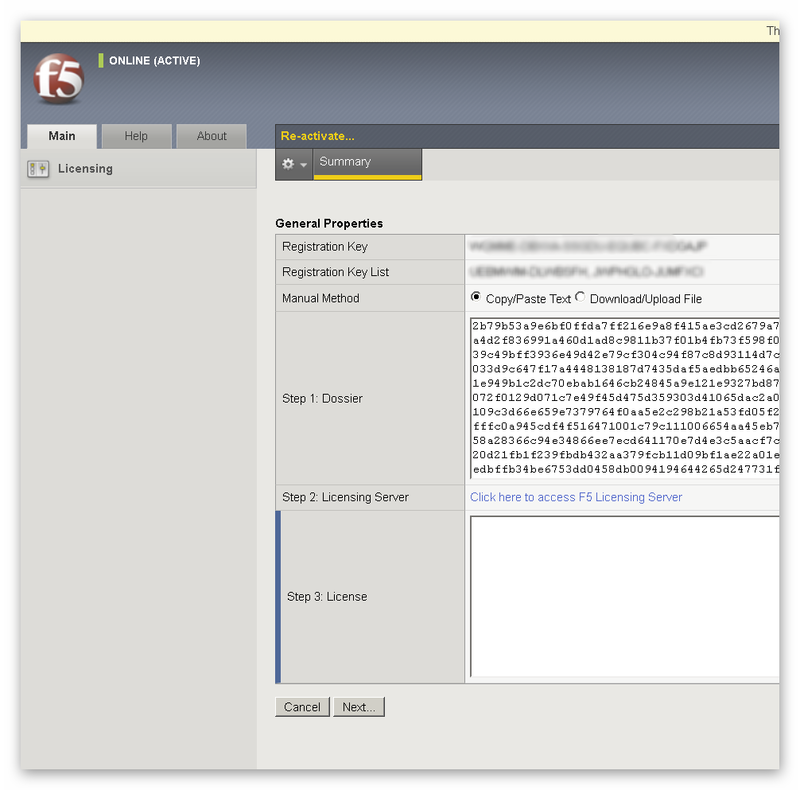 The dossier is generated by your F5 product after you choose a license activation method. 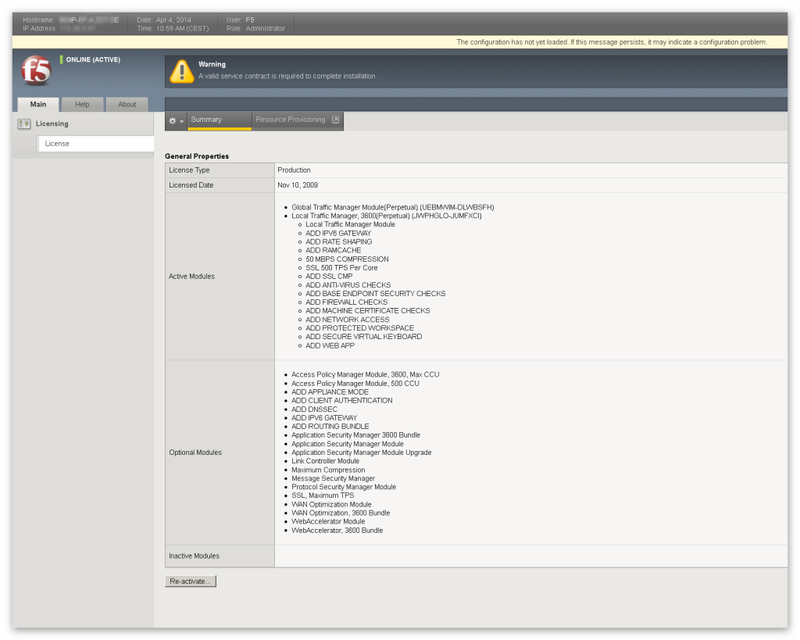 See the Activating the license section of this article for details. Auf Re-Activate klicken. Die Keys werden angezeigt. Wenn die BIGIP keine Verbindung zum Netz hat (wenn sie nur über das MGMT IF angesprochen wird), dann auch Manual umstellen. Das Dossier wird erstellt. Die erzeugte Lizenz wird in Step 3: reinkopiert und fertig.